STEM Building Science education, career fields, videos, lessons, competitions, activities, STEM Energy 101 resources, and career resources. The Building Technologies Office leads a vast network of research, academic, and industry partners to continually develop energy-saving, cost-efficient technology solutions that save energy across the buildings in which we work, shop, and lead our everyday lives. The U.S. Department of Energy Race to Zero Student Design Competition challenges university students to design a zero energy ready home with all or most of its annual energy consumption from renewable energy. 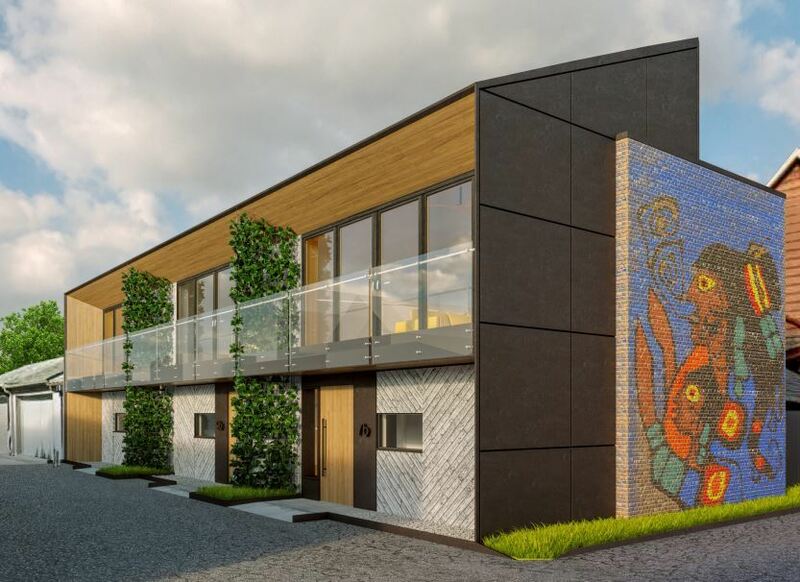 The competition aims to inspire next-generation architects, engineers, and construction managers to apply the latest building science innovations in new and existing homes to reduce energy costs while improving comfort, health, safety, and durability. 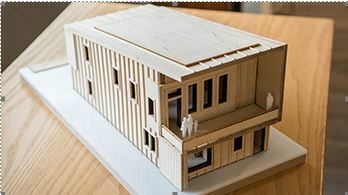 The competition recognizes students who excel at integrating solid building science principles into designs for zero energy ready homes using creative solutions to real-world problems. See this year's winners. 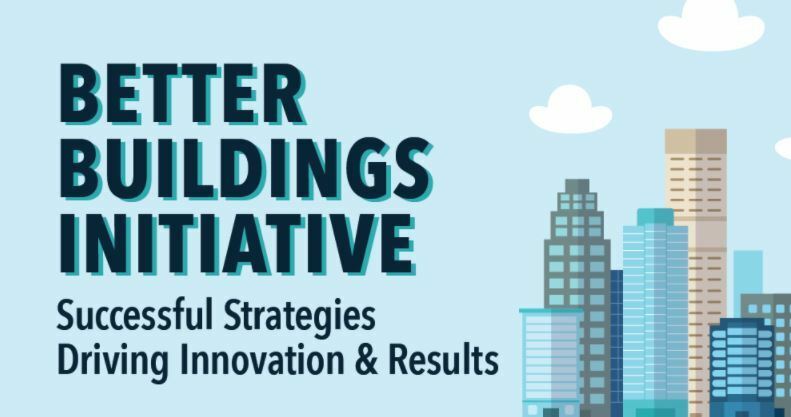 More than 900 organizations across many diverse sectors are now part of the Better Buildings Initiative. These partners represent more than 13% of total U.S. commercial building space, about 12% of the U.S. manufacturing energy footprint, and 125 state and local governments. More than one-third of these organizations have taken the Better Buildings Challenge. 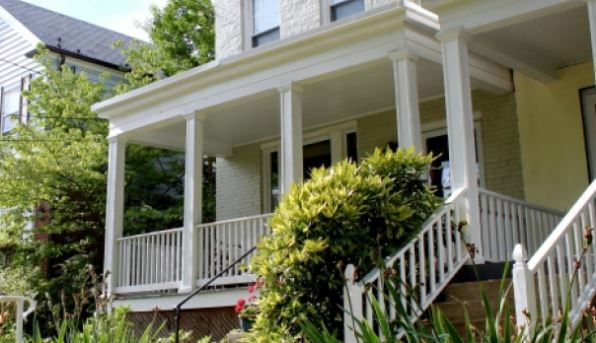 This leadership initiative calls on CEOs, university presidents, building owners, state and local government leaders, and housing developers to each reduce the energy use of their entire building portfolio by 20% within 10 years. Challenge participants are on track to meet their energy reduction goals, saving more than 2% each year on average, and $1.9 billion since the start of the program. Read more in the Better Buildings 2017 Progress Report. Season two of the Energy Department's “Better Buildings Challenge SWAP” features the U.S. Naval Academy and U.S. Air Force Academy. Both military operations swap energy teams to improve the energy efficiency of each one’s campus. The web series covers a two-day swap at each campus. The teams learn from each other that they can apply simple behavioral changes to help students and faculty be more mindful about lighting usage and plug loads in classrooms when not in use. For more building efficiency ideas, watch Better Building Swap season one: Hilton Worldwide vs Whole Foods and season three: City Swap Atlanta vs Boston. Ten school districts from across the country have joined the Zero Energy Schools Accelerator since the 2016 launch. The Accelerator is part of DOE's Better Buildings Initiative that aims to cut down energy waste in America's buildings. The districts work together to develop zero energy designs that are cost-competitive with traditional construction methods in schools. Watch the Accelerator video and learn more about Zero Energy Schools. 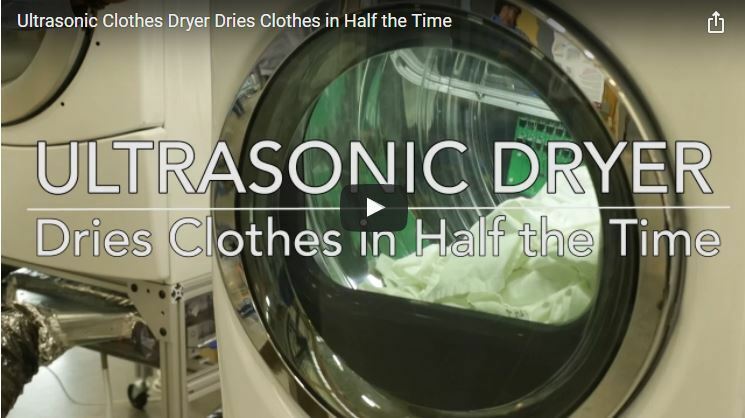 Scientists at Oak Ridge National Laboratory developed an ultrasonic drying concept that uses vibrations instead of heat to dry clothes five times more efficiently than today’s products in half the time. Researchers took the concept and developed a full-scale press dryer and clothes dryer drum. Unlike traditional dryers that rely on heat to evaporate the water out of clothes, the ultrasonic dryer uses a completely different process with piezoelectric transducers—devices that convert electricity to vibration. When voltage is added, the transducers vibrate at a high-frequency and turn the water into a cool mist as it’s removed from the fabric. By removing or minimizing heat from the process, consumers see less lint and fading of clothes and spend less time laundering. The ultrasonic dryer is expected to cut drying time to about 20 minutes per load—which is down from the average 50 minutes it currently takes Americans to do their laundry. Watch the video with blog post. Learn how commercial buildings can incorporate whole-building design to save energy and money while enhancing performance and comfort. This Energy 101 Video highlights several energy-saving features of the Energy Department's National Renewable Energy Laboratory's Research Support Facility—a model for high-performance office building design. Addressing a shortage of highly skilled and qualified workers in advanced building technologies, the Better Buildings Workforce Guidelines provide industry with national guidelines to develop workforce credentials for four key energy-related jobs: building energy auditor, building commissioning professional, building operations professional, and energy manager. Industry subject matter experts review job descriptions and associated skills to develop Job Task Analyses (JTA). Together, the JTA documents and certification schemes comprise the basis of the voluntary, industry-developed, and industry and government-recognized Better Buildings Workforce Guidelines. Learn more. Learn how operating a Boeing airplane control system is similar to an energy-efficient building control system. 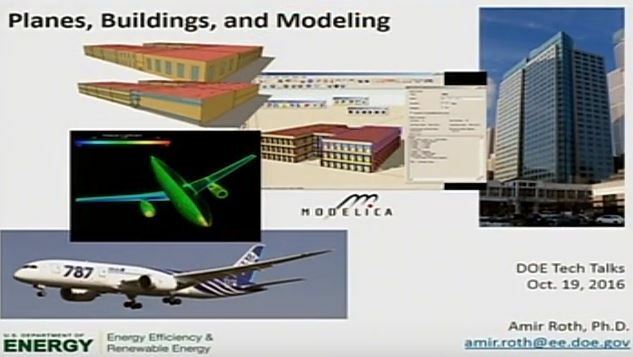 Watch Amir Roth, technology manager for building energy modeling, describe the training needed to become an energy manager, complexity of building energy analytics, and innovations in building energy modeling in his Energy Talks presentation. Read his blog post for an in depth description of modeling with building science for energy savings. DOE developed the Guidelines for Building Science Education to establish a national platform for competency with critical skills and workforce classifications involved in residential and commercial buildings. 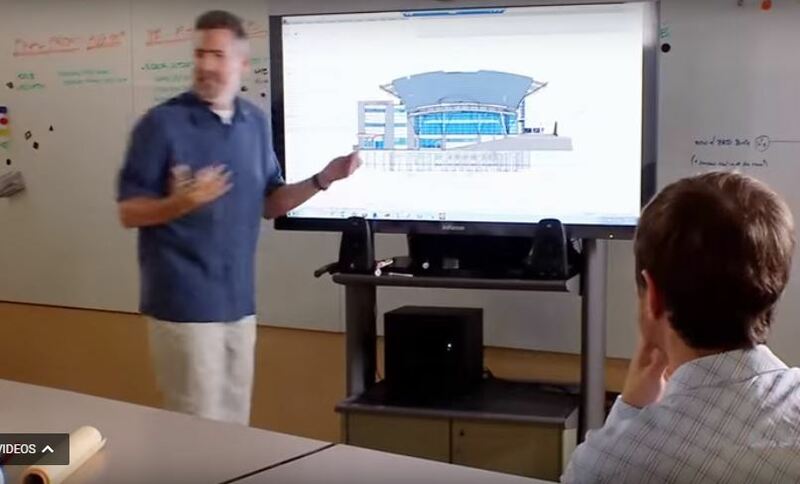 The new Building Science Education Solution Center (beta) can help professors and trainers easily provide and use peer-reviewed lecture notes, problem sets, and teaching materials that align with these guidelines. The monthly STEM Spark newsletter focuses on education opportunities and energy technologies at the Energy Department. Share this link with anyone interested in learning more.